Apple has announced they will expand the iAd network into Europe by December and Japan by the beginning of next year. 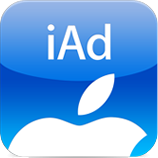 iAd is Apple’s advertisement service that displays mobile ads on devices running iOS 4 or later. Developers who use these ads in their apps get %60 of the ads’ revenue. iAd, which is built into iOS 4, lets users stay within their current app while engaging with an ad, even while watching a video, playing a game or using in-ad purchase to download an app or buy iTunes® content. With user engagement times averaging more than 60 seconds per visit, iAds combine the narrative quality of TV ads with the interactivity of digital for something entirely new. Advertisers can learn more at advertising.apple.com. Developers who join the iAd Network can easily incorporate a variety of advertising formats into their apps. Developers will receive an industry standard 60 percent of the iAd Network revenue, which is paid via iTunes Connect. Developers can visit developer.apple.com/iad to join the iAd Network or to learn more about the iAd platform. * Advertising Age “100 Leading National Advertisers” rankings for 2009 by spend, June 20, 2010. ** US mobile display advertising 2010 forecast, published by BusinessWeek.com, September 26, 2010.